Business Insider recently visited Facebook’s HQ in Menlo Park, California, where we had a great time. 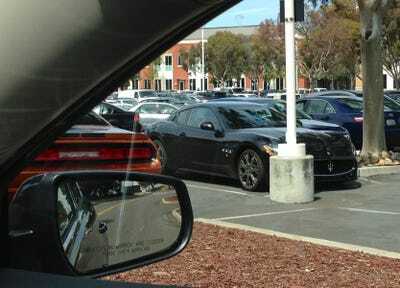 Facebook employs about 7,000 staff, and although they are not all at the Menlo Park location, the car park is nonetheless crowded with vehicles. And some employees’ cars are pretty fancy: Wait until you see the “Tron” Edition Chevy Camaro. 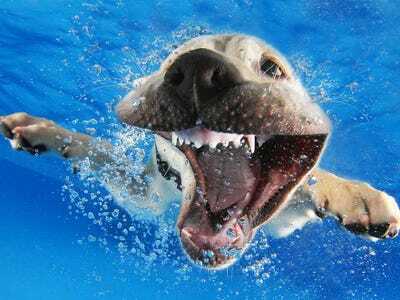 The Facebook IPO created about 1,000 millionaires inside the company. 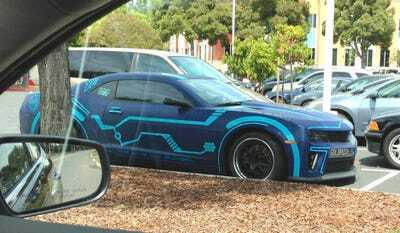 Add to that the fact that this is California, where they love their cars, and you get an idea of why the Facebook car park is so interesting. We took a spin through it recently (in a rented Chevy Malibu, the shame!) This is what we were able to see before security showed up. 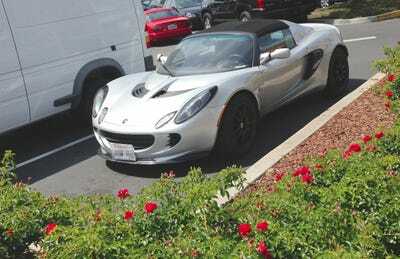 This is a Lotus Elise. It costs $47,250 to $73,500 brand new (£29,217 to £45,450), depending on the package. 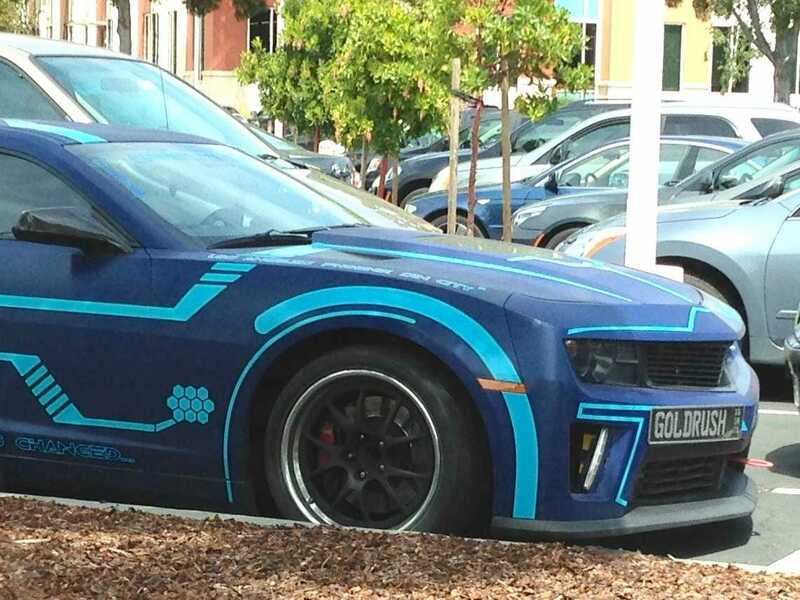 Not all Facebook workers have amazing cars. 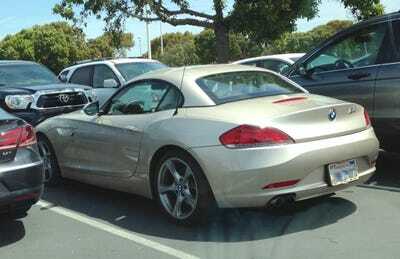 But a typical car at Facebook is something like this BMW Z4. That $46,575 to $52,475 (£28,846 to £32,491) if bought new. We really liked this Ford Mustang, which looks like a 1965 model. 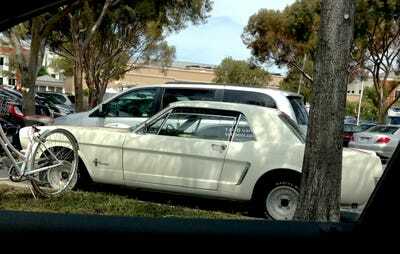 There were quite a few old Mustangs at Facebook. 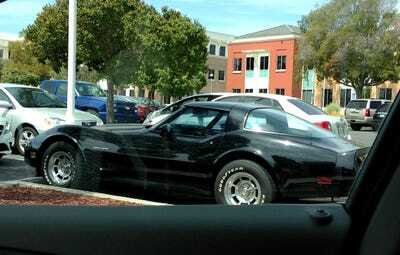 Not quite vintage, but certainly retro: A Chevy Corvette. 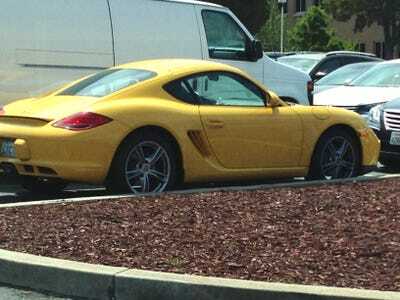 It looks like a C3 from the early 1980s. Even the bikes are fancy. 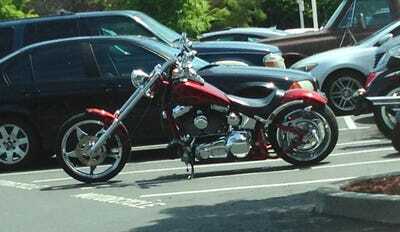 At first we thought it was a Harley Davidson chopper, but it is probably a Honda. What about the understated class of this Maserati GranTurismo? 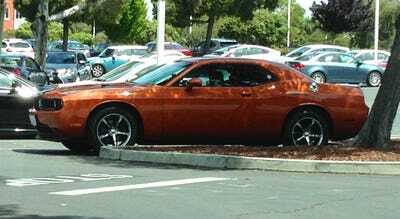 This burnt orange Dodge Challenger caught our eye, too. 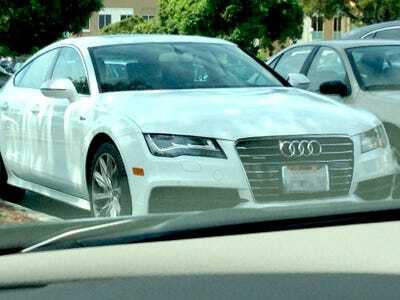 An Audi A7 -- another 'typical' commuter ride at Facebook. 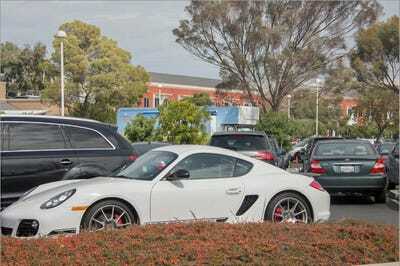 Porsches are a popular choice at Facebook. 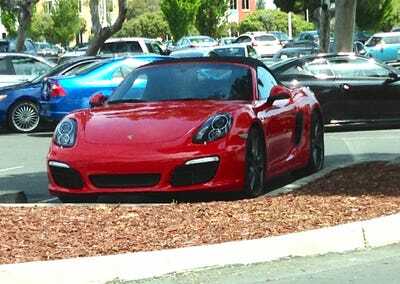 This is probably a Cayman S.
And here's a Porsche Boxster. 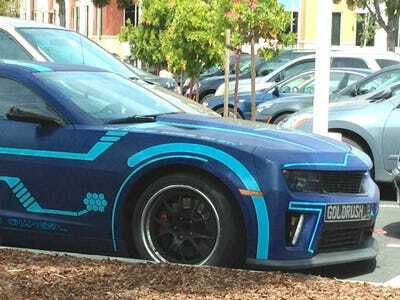 This looks like a Porsche Cayman R.
But the most eye-popping set of wheels is this special 'Tron' edition of the Chevy Camaro.